There are many advantages to working out in a home or garage gym. It’s cheaper (in the long run), you never need to wait for sweaty equipment, and there’s no wasted travel time, to name a few. Perhaps the biggest drawback of a home gym is that you’re (usually) working out alone. Aside from meaning you need to rely on self-motivation, there’s no-one to spot you or maintain the equipment. This isn’t something to take lightly. People have died from getting stuck under weights – particularly when benching with a barbell – and it’s easy to see how tragedies can happen if there’s no-one to help when something goes wrong. Injuries also aren’t always the result of a mistake. Even if you lift with proper form, there’s the chance of a back injury or muscle tear. The key is to minimise the chance that an injury ends up with a loaded barbell falling onto your chest. The good news is that with planning and preparation it’s possible to lift safely at home and make progress. The seven tips in this article can help you do just that. But before we go any further, the biggest takeaway from this article is to use common sense when lifting at home. You are responsible for your own safety, so don’t put yourself in a position where one mistake or muscle tear could cause a catastrophic injury. Nothing is worth that risk. The key to progressing with weight lifting (or any exercise program) is long-term and sustained training. You can’t do that if you’re injured. Which is why safety should always come first. To put this another way, it’s better to train sub-optimally but consistently, than to train to your maximum but get injured. I’m not going to get into the debate about whether you build more strength when training to muscular failure than leaving a few reps in the tank. If you’re training with a safety-first mindset – especially on your own in a home gym – the best choice is whatever is safer. The same goes for exercise selection. Sure, powerlifting movements like the clean and jerk are brilliant exercises. But are they a good idea when training alone? Probably not. Common sense is your greatest protection when lifting alone. You need to train within your limits, so you continue to make progress without risking failing a set. That means always leaving at least one or two reps in the tank instead of training to failure. This may actually be a more efficient way to train anyway, but is essential in a home gym. And if you think there’s even a chance you’ll fail the next rep, don’t attempt it. 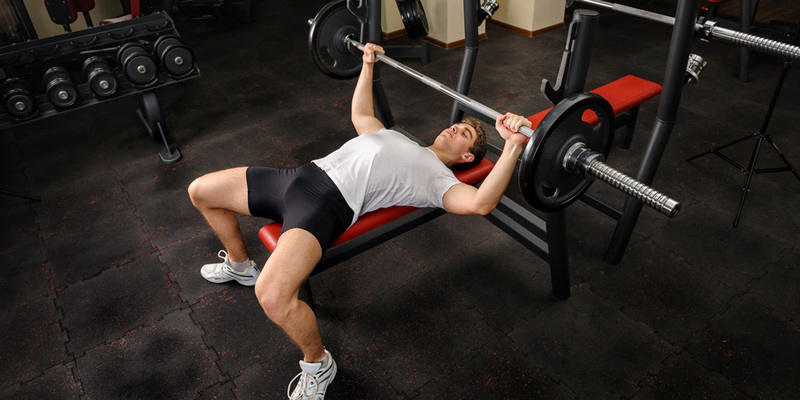 If you know you can bench 220lbs for 8 reps, for example, then don’t attempt a ninth rep without a spotter. You don’t want to get stuck due to muscle failure when you’re on your own. There are also some things you simply can’t do safely at home without a spotter. Hitting a new one rep max on your bench, for example, isn’t something you should try alone. One way to stay safer is to lift lower weights for higher reps. Pushing out reps of three with a heavy weight isn’t a particularly good idea when you’re alone, but a lighter weight for 15 reps is less dangerous. It’s also worth considering replacing the bar with dumbbells for certain exercises. The bench and overhead press are much safer with dumbbells – and they are better suited to a low weight/high rep scheme. If you’re training within your limits and leaving a few reps in the tank on every set, the risks of getting stuck under the bar are low. But if it ever happens, the “roll of shame” could be a life saver. Note: If you get stuck under a barbell when benching, never roll the weight towards your neck. This sounds obvious, but it’s easy to panic and move the bar in the direction that seems closer. If you’re buying home gym equipment on a budget, you might be surprised at how low the weight limits can be. It’s common, for example, for cheaper benches to have a limit of 150kg (or less). If you weigh 90kg, then benching anything over 60kg is going to put you above this limit. This might be fine if you’re a beginner. But as you progress, you’ll need to upgrade your equipment to make sure it’s safe. 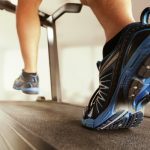 Weight limits are usually less of an issue with cardiovascular equipment, such as indoor cycles or treadmills. It’s still important to check though – especially if you’re heavier than the average person. 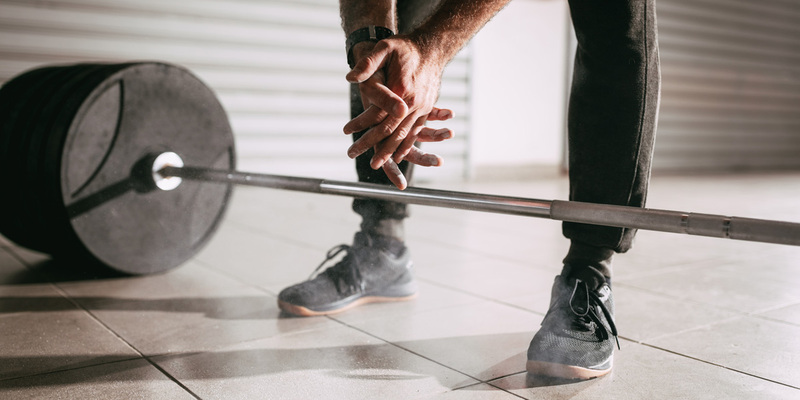 Let’s face it: barbell weight training is the best way to build strength and fitness. While you can replace certain exercises with dumbbell alternatives, barbell squats, presses and deadlifts are the cornerstone of most routines. For this reason, a power rack is an essential item if you’re going to be lifting heavy weights at home. Power racks come with pins to act as metal spotters. These are metal beams on either side of the rack that can be placed at various heights. While they can sometimes get in the way of your reps, they should stop the bar falling on you and causing serious injury (at least if they are placed correctly). Other racks come with straps instead of pins. These provide greater shock absorption, which can reduce the chance of mechanical failure if the bar gets dropped. Smaller racks, or squat stands, often have arms instead of pins. These aren’t as safe as pins or straps, but can be useful for lifts outside the rack. Working out alone can sometimes be lonely – I get it. But a home gym is no place for a pet. All it takes is for your dog or cat to wander behind you when you’re squatting just one time for a disaster to happen. Keep pets in a completely separate room when you’re working out, as they won’t understand the dangers. The same goes for children. To have a safe workout, it’s vital to create separation between you and your family. This might be difficult, but the risks are too great for young children to be wandering around the gym. Lifting with proper form is essential for avoiding injury. It’s far better to lift lighter with correct technique, than to add extra weight and compromise your body. It’s often easier for poor form to creep in when lifting alone. Even if you know the proper lifting technique, it’s a good idea to get a “tune up” with a qualified personal trainer every so often. This is also the point where I ask you to keep your ego in check. There’s no-one to impress when lifting at home, so stick to weights you can lift in a controlled and safe way. Lifting alone can be a relief if you’re the kind of person who goes to a gym to work out, not socialise. There’s no-one curling in the squat rack, you get to choose the music, and all the sweat is your own! You need to take safety seriously if you want to avoid injury though. If you’re not healthy, you’ll never make progress – and the dangers of training alone are increased compared to a busy gym environment. What is a Manual Treadmill...And Should You Buy One?